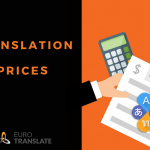 We often get asked how the cost of a translation is calculated and what it depends on – so here’s a short explanation listing all the things that are factored in that will, hopefully, make the process more transparent for you. First of all, it is important to know what the price of a translation comprises and who is included in the process: there is the work of the project managers, for one (they will take your enquiry, assign an appropriate translator, track the process and keep to the deadlines, forward the translation to the right proofreader, contact you when the project is over and make sure that it is completed and delivered as previously agreed), but then also the translators – or court-certified translators – as well as the mandatory proofreading performed by our in-house linguists after the translation has been completed. What are the most important factors that determine the cost of translation? One page is the equivalent to 250 words. This, literally, means that the total number of translated words is divided by 250 which gives us the number of pages (a minimum value of one page is charged). Don’t be tricked by the paper you have in your hands: one page of the “paper” document does not mean it is equal to one page when translated. Large spacing, for example, or very small fonts, the layout of the text on the page (one or two columns), lots of graphs and images could be present – all of these could lead to 5 “paper pages” having an equal possibility of turning out to be 3 or 8 translated pages. How can you check this yourself? If you have the source text on your computer, you can use the feature “Word Count” in Microsoft Word and find out how many words there are in your file. Of course, this would be just an approximate number, since we calculate the number of translated words in the target file. Also, you should give the file that needs to be translated a good check: does it have graphs, charts, tables? Do they need to be translated? They also count toward the total word count, so this should also be taken into consideration. 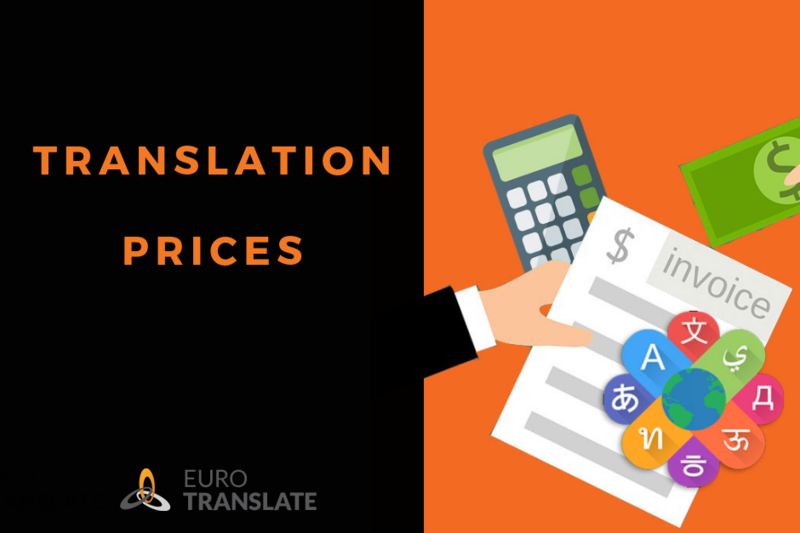 Depending on the subject of the document that needs to be translated, the cost of translation can vary. For example, highly technical or medical documentation will cost more, since they are translated by linguists specialised in that particular field (medical translations are done by medical doctors), whereas other, more general documents will not require highly specialised translators, so they will be priced less. 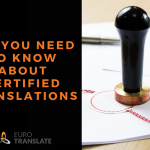 It is very important to stress that court-certified translations will also be priced slightly more than general documents – you can find out more details about sworn translations here. If we receive the urgent enquiry with a deadline of “yesterday” – a higher price for translation will be charged. 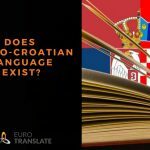 When the documents are very large in volume and the translation is needed urgently, this will require more translators or editors to work on the project simultaneously, which will then be reflected in the price as well. In addition, if the translation needs to be delivered by courier to the desired location, the price of the courier service will be included in the price. It is only logical to assume that different language combinations will have different costs. Let’s compare these two cases: we have a document in Serbian that needs to be translated into English, and another one, that needs to be translated into Hebrew. Which one do you think would cost more: translation into a language common for this area, with a large number of qualified translators, or translation into a language so far removed from our culture and demands, with only a few translators working in this combination? Interpreting is charged by the hour, or by the day (in case of events that span a few days), regardless of the type – simultaneous or consecutive interpreting, or court-certified translators required for weddings, for example.